Colby Basye and the Durango defense forced two turnovers last week and will try to replicate that success Thursday night at Palisade. For all the laughter and smiles that came of the Durango High School football team’s locker room before Monday afternoon’s practice, they know Thursday will be all business when they take on Palisade, ranked No. 4 in Class 3A. The Demons, who are ranked No. 7 in this week’s CHSAANow.com Class 3A poll, are fresh off of a convincing 34-6 victory at Class 2A Pagosa Springs last Friday night. Head coach David Vogt knows it will be a challenge this Thursday, but the five touchdowns the offense scored last week has Vogt looking forward to the battle at 7 p.m. Thursday at Ralph Stocker Stadium in Grand Junction. “They’re just a really good program, and we expect to see them in the playoffs,” Vogt said. “They’re very well-coached. Coach (Joe) Ramunno’s been around; he’s an ex-college coach and knows exactly what to do and make game changes and stuff like that. They’re going to be technically sound offensively, defensively and really good on special teams, too. 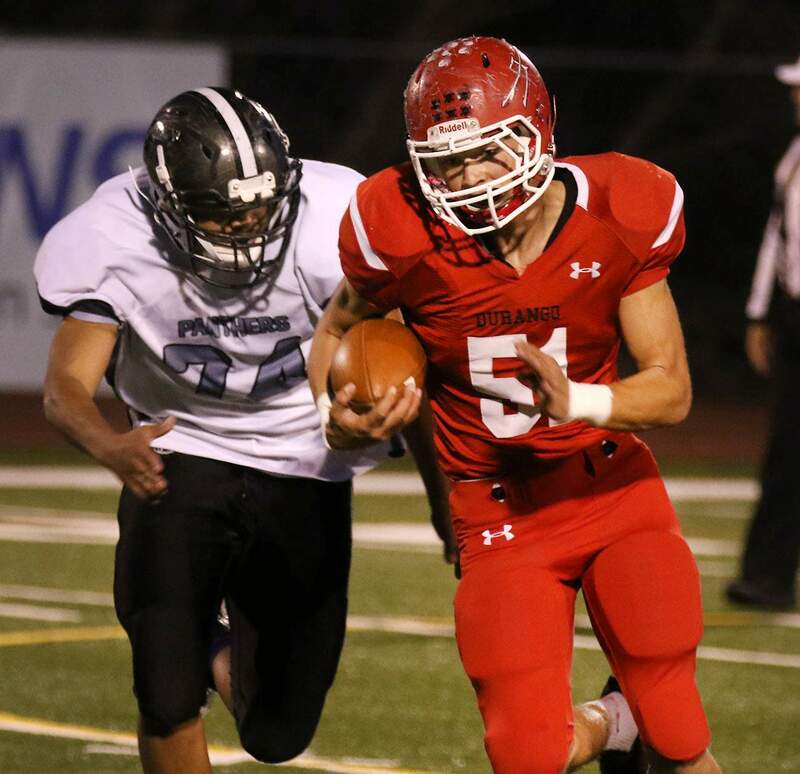 Max Congdon and the Durango pass defense might not see a ton of action against a run-heavy Palisade offense, unless the Demons can execute their game plan and get a lead early. The Bulldogs’ playmaker is junior quarterback Cameron Tucker, who will lead Palisade’s flexbone offense. Tucker was a force to be reckoned with last season and finished with almost 1,200 yards rushing and 800 yards passing. He collected 24 total touchdowns – 16 rushing and eight passing. Vogt will try to combat Palisade’s weapons with his own – sophomore quarterback Jordan Woolverton, running back Dawson Marcum and wide receivers such as Alex Hise, Gage Mestas and Breyton Jackson. The Bulldogs were a talented yet inconsistent defensive unit last season. They gave up 287 points, while their offense scored 396. It’s the run-and-gun style offense that forces teams to try and keep up. 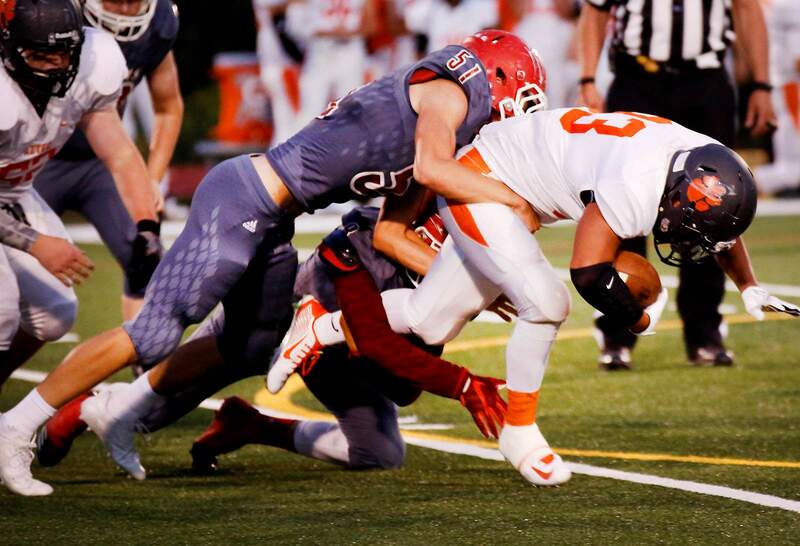 Colby Basye and the Durango defense will look to swarm to the football and stop the Palisade run game Thursday night. Defensively, Palisade returns Jason Bruce, who had five interceptions last year, as well as Sebastian Campbell, who had two interceptions. 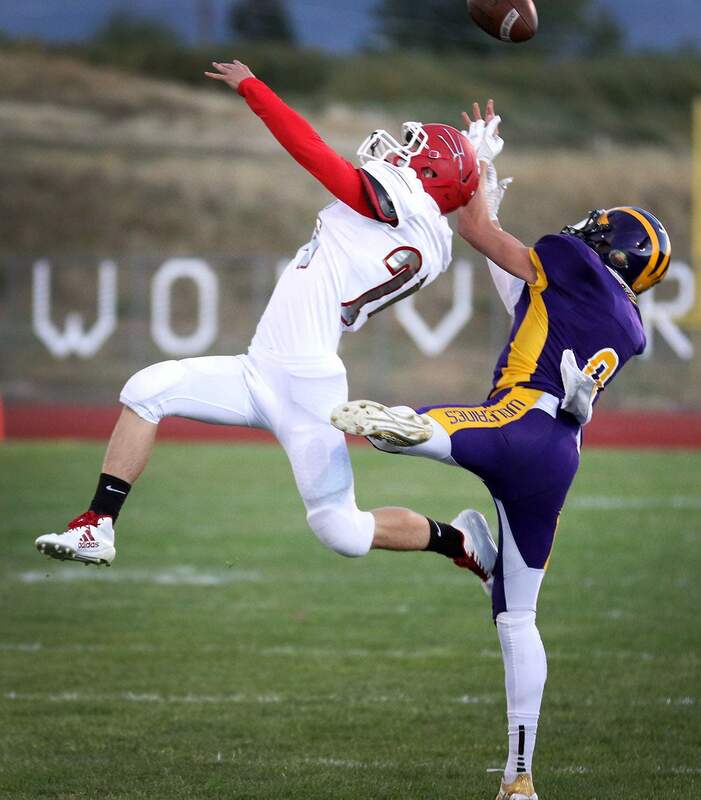 Durango forced two turnovers last week, including an interception and a fumble recovery. Marcum, who had 120 yards by the end of the first half, knows his task will be much more difficult this Thursday, and called Palisade a good defensive unit. While the Demons were full of smiles Monday, they’ll be all-business by Thursday night.